Canadian supermarket operator Metro Inc today (6 August) posted a 23% increase in earnings for the first 40 weeks of the year. For the period to 4 July, net earnings reached C$270m (US$252m) versus C$219.7m in the previous year. Metro said its share of earnings from an investment in Alimentation Couche-Tard were C$25.7m versus C$12.6m for the corresponding period of fiscal 2008. Sales climbed 5% to C$8.66bn. Excluding decreased sales due to the non-renewal of a convenience store chain supply contract, sales increased by 5.9%. EBITDA reached C$565.8m, a 6.5% increase on the previous year. 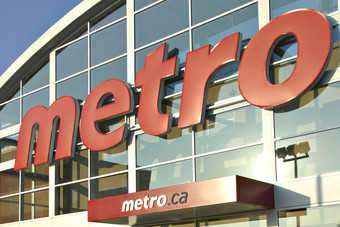 The company said its Ontario supermarket conversion plan is on schedule with 128 of 159 stores converted to the Metro banner as of 24 July. "We are confident that we are well-positioned to continue to grow our business in an always challenging marketplace," said Eric La Flèche, president and CEO. Can Kraft capitalise on sweet Cadbury deal?